About Scenic Rivers Industries Inc., Salem MO. Our warehouse is a vast 100' X 125'. Our service area is everywhere! We are centrally and conveniently located in the Midwest, giving you freight advantages for shipping your finished goods to your customers directly from our facility. SRI, inc. possesses a tractor trailer unit and a cube van. Pickup and delivery of your products allows for greater control of your time lines. We also have three trailer high docks for your convenience. January 1976, Salem branch A.A.U.W. member Libby Sanders, also Teacher and Director of State School #61 located in Salem, Missouri, recognized a great need for her graduating students. Upon graduation where would these individuals be going and what would they be doing? How could the independence and self esteem she had tirelessly instilled in them be re-enforced and magnified for the long term? Others in the community involved in human services also saw these needs and recognized that an employment placement could fill this void. In December, 1976 an organizational meeting was held to establish a Missouri Extended Employment Sheltered Workshop. SRI, inc. was chartered as a Missouri tax exempt non-profit Corporation in February 1977. The doors opened for business in July, 1977 in a large, unfinished garage located along Highway 32-72 West in Salem, MO. 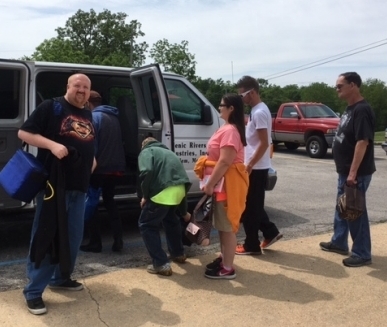 At that time there were 15 individuals with disabilities certified by the Division of Vocational Rehabilitation hired to work in the new facility. At present, SRI, inc. employs three full-time staff members, one part-time staff member and thirty-two certified employees. 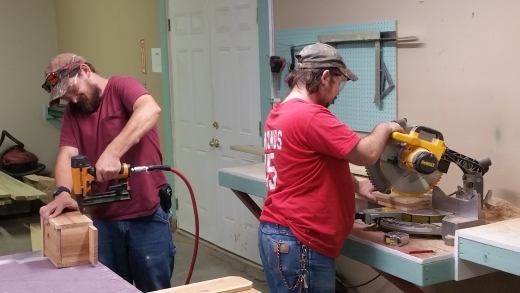 SRI, inc. provides about 48,000 hours of training and employment opportunities annually to the disabled individuals it employs, as well as providing recreational opportunities. We also provide in excess of 29,000 miles annually in transportation to and from the work site for certified employees. In the past ten years SRI, inc. has proudly watched as ten of our former employees have graduated from the Sheltered Workshop Program and are now holding competitive jobs within the regular workforce. In addition to that five of our former employees have started their own businesses. We transport many of our workers to and from work. SRI, inc. is a member of the Missouri Association of Sheltered Workshop Managers.